Just back from the fantastic gala dinner which was held at the Habana Libre Hotel where some 300 “Amigos de Partagas” enjoyed an incredible evening of good food, wine, Havana Club rum, great music, incredible cigars and of course the best of company. Specially banded cigars were handed out throughout the evening including an excellent Laguito no.1 and the incredible new Salamones. 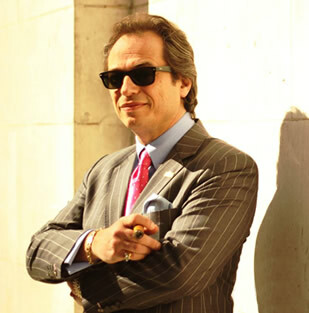 Massimo held the auction of 5 special humidors containing a variety of specially banded cigars. The final lot sold for 10,000 C.U.C to Roberto from Italy. The auction was a great success and the money raised is donated to a Cuban charity. Proudly representing C.Gars Ltd and La Casa del Habano-Hamburg, I was invited on to the stage to be recognised as a “Friend of Partagas” and presented with a beautiful box of specially banded cigars. The box has also been signed by the team working at Partagas LCDH including “La China” one of my favourite rollers. Towards the end of the evening, a raffle was drawn. Their were a variety of prizes including a holiday for two in Sardinia kindly donated by an Italian aficionado and it was great to see one of the guys on our table win the prize. 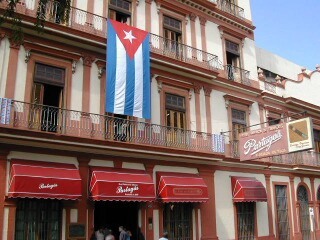 Finally the most enormous cake was wheeled in and it was made to look like the Partagas factory.